If you are thinking about starting a journey of weight loss, there may be something stopping you. Maybe it’s fear of failure, or the fear of making changes to your lifestyle, or just general fear of commitment. 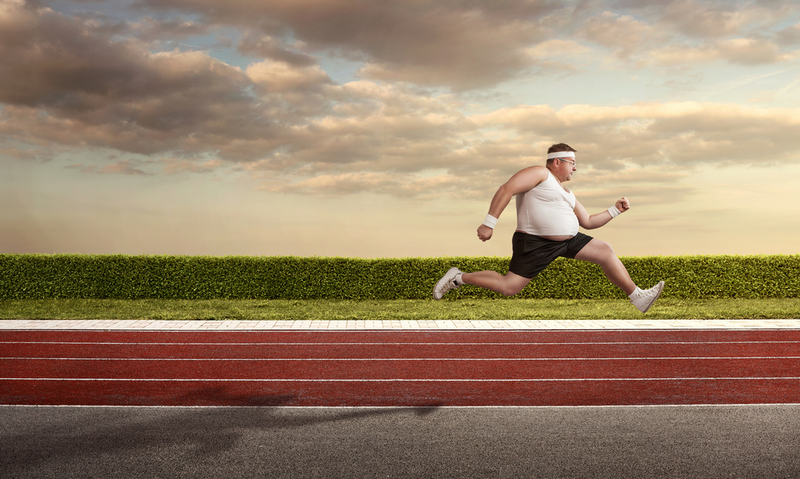 But one thing that will help you that will not require a big leap is reading nutrition labels. One of the ways in which dieticians find great success is showing their clients the nutrition label of, say, a toaster pastry, and asking them how many of the ingredients they recognize. First-time patients will start off confidently with such ingredients as “enriched flour,” “corn syrup,” and “sugar,” but then find themselves stumbling over chemical names, which outnumber whole-food ingredients. One flavor of one brand of toaster pastry lists five types of sugar, five coloring agents, plus the ingredients “color added,” “natural flavors,” a number of preservatives, and a host of what the average buyer can only recognize as chemicals. This is all in one toaster pastry. Does this qualification mean anything? Don’t let the “enriched” in “enriched flour” fool you– This is not in any way a health food. Many brands harness the power of language to curry favor from potential buyers who do make it to the nutrition label. Often this means listing ingredients like “color added” or even “natural flavors” to account for ingredients that consumers would not recognize or find appealing. If it isn’t the Red 40, Red 40 Lake, Blue 1 Lake, or Yellow 5 Lake already listed on the label, what is it? And what is a “natural flavor”– Is it actually “natural,” and if so, why isn’t it included in the ingredients list? 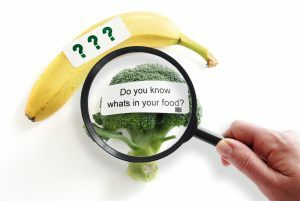 Usually brands are quick to disclose any ingredient which promotes a healthier image, and to disguise those that do not. That is why companies often withhold the knowledge of what is actually flavoring their food. Never forget food companies have a vested interest, and that may not always align with your best interests. Additionally, make sure to read all the way to the end of the label. Food companies will often put their best foot forward, starting off with the most desirable ingredients, and hope that consumers will be satisfied and not read past there. But they are required to include all their ingredients, which they admit further down the label. Ingredients are organized in decreasing order of amount, but it is possible to puff up the beginning of the label by including explanatory components and phrases in parentheses. Don’t be fooled– “For freshness” and “for color retention” signal preservatives. While virtually all packaged food will come into contact with preservatives, it is better in the long run to avoid these additives whenever possible. Other important information to recognize while reading food labels is that fructose is damaging to the liver and to the brain. According to scientists at UCLA, fructose damages the brain in ways that are linked with such diseases as ADHD and Alzheimer’s. Fructose also interacts with the liver in ways similar to alcohol, which is alarming because while society warns strongly against alcoholism, fructose addiction is less publicized but potentially more pervasive. If you suspect you’ve consumed too much fructose, which is any fructose, your best bet in reversing its effects are Omega 3s. This means it’s time to cut open an avocado, fry some salmon in canola oil, and find recipes for healthy chia seed drinks. Note that fats, which include Omega 3s, are not to be avoided due to their role in brain function and even reversing disease. What you should be alert to is trans fats, because those increase the risk of heart disease, stroke, and diabetes. Some fats are necessary to general function, and others should be avoided at all costs; the way to navigate this is by reading the nutrition label before making purchases. One significant distinction is that while the liver and brain struggle with fructose, the same cannot be said of glucose, which is found throughout nature. It is the product of photosynthesis, for example, and is also the building block for starches found in plants. Glucose by itself should not be an alarm bell, but fructose should. In this way as well as many others, one calorie does not always equal another. This is why eating an avocado will serve you better than eating a toaster pastry any day of the week, even though they have comparable calorie content. Calorie content also deserves its own discussion. 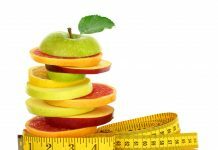 While calorie intake is positively correlated with weight gain, the equation is not as simple as calories in equals to calories out. Take the advice of one highly successful fitness expert who described a time in her life when she was trying to eat as few calories as possible while burning off as many as possible through rigorous exercise. Contrary to popular expectation, this was the time in her life when she struggled the most with her weight, and suffered from low self-esteem. By contrast, when she started eating healthy foods in quantities her body required, she lost weight. In combination with strength training in the place of overzealous cardio, this change led naturally to a low-fat, high-muscle body composition. If she could do it, and women’s bodies are more resistant to both losing fat and building muscle than men’s bodies, you can do it, too. In conclusion, when shopping for food, remember that calories from healthy fats are better than calories from sugar, fructose is harmful, and that ingredients are more important than calories. 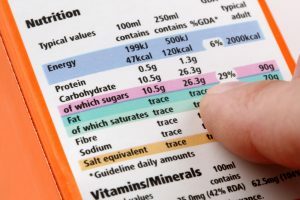 By reading nutrition labels, without committing to a severe change in lifestyle, you can already take serious strides toward your weight loss goals.